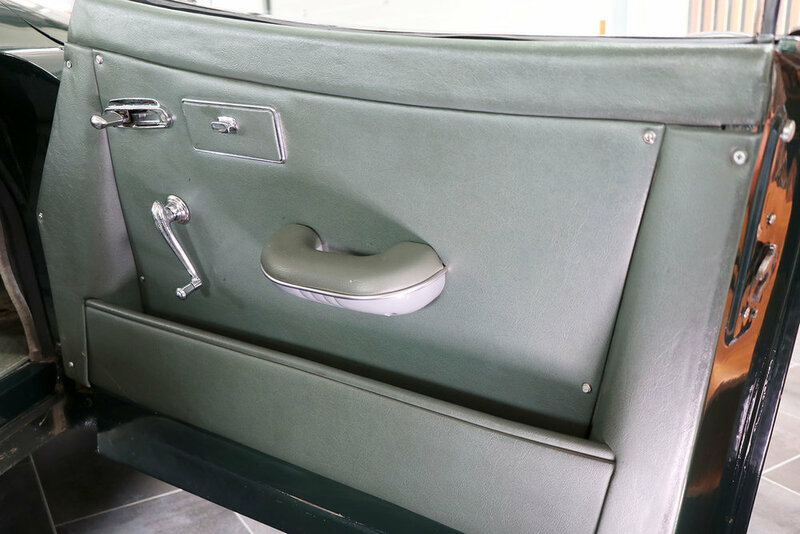 A highly desirable open-top sports, this uprated 1959 Jaguar XK150 is finished in opalescent dark green, with complementary green leather interior. Originally a 3.4 litre, left hand drive; this vehicle was brought to the UK from the US in the early 1990s, where it was subject to a full conversion and restoration. This included the installation of a more powerful XK150 engine, with the vehicle now uprated to the ultimate 3.8 litre 'S' specification. 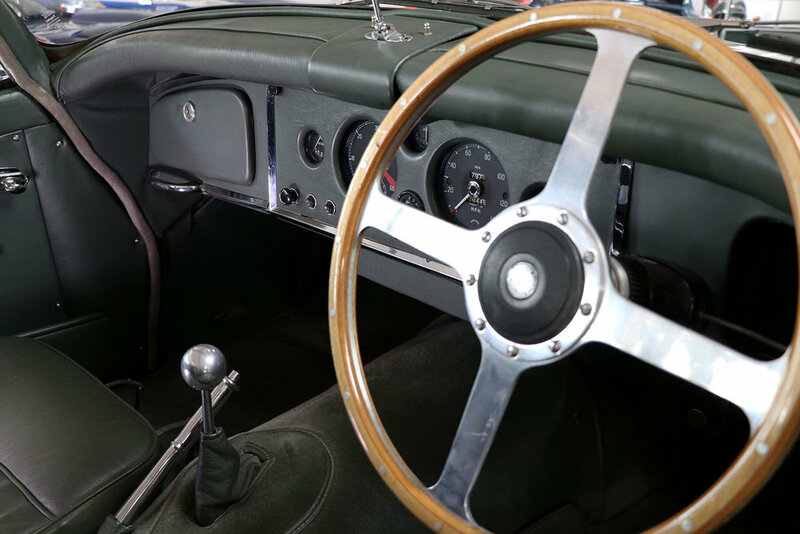 This uprated 'S' specification XK150 is fitted with: Le Mans filler cap, uprated brakes, a 5 speed gearbox, electronic 123 ignition and period bucket seats and has undergone a full 'Sayer' inspection.